Here is an article written by Mary Goodman and Rich Russakoff for CBS MoneyWatch, the CBS Interactive Business Network. To check out an abundance of valuable resources and obtain a free subscription to one or more of the website’s newsletters, please click here. (MoneyWatch) If there was just one thing you could improve upon that is guaranteed to make you more successful, would you do it? Well then listen up. We mean it, really – listen up and listen better. The better we listen, the more others appreciate us and, in return, the more they listen to us. By listening better, we learn more and misinterpret others less. It seems that some people are just naturally good listeners but the truth is listening is an acquired skill. One that, with any improvement, will yield great benefits. o Multi-tasking: Do you ever look at your phone or check emails during a conversation? If you think you can multi-task while listening, then you don’t know what you’re missing. It’s also painfully obvious to the other person when we are distracted. o Me, Me, Me: If your major concern is how others perceive you, or what you’ll say next, then you can’t focus on what is being said. o Brain Speed: If our thoughts outpace the speaking style of the person we are talking with, we tend to let our mind wander. Or we interrupt the other person because we believe we know what the person is trying to say but taking too long to say it. o What did you Say? : Hearing loss can adversely affect every conversation, from missing out on a pleasant exchange to serious safety issues. 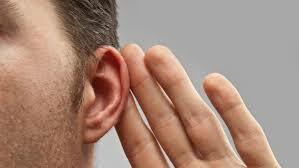 It is estimated that there are more than 35 million Americans that are hearing impaired. Less than 30% use hearing aids. If you suspect you have a hearing problem, get tested. If you know you have a hearing problem, get hearing aids. If you own hearing aids, wear them. o Line Butting: You’re bored with the subject so you interrupt and introduce a new topic. Or worse, you start talking about yourself. If not as well as you liked, here are a few things that you can do that will dramatically improve your listening skills. The advice is rock-solid. Check it out by clicking here. You can check out all their articles by clicking here.